The popularity of craft beer has led to an explosion of micro- and nano-breweries in the greater Boston area. Nightshift Brewery in Everett is one of the more innovative new breweries, making everything from Belgian ales to sours to a stout brewed with local chocolate. 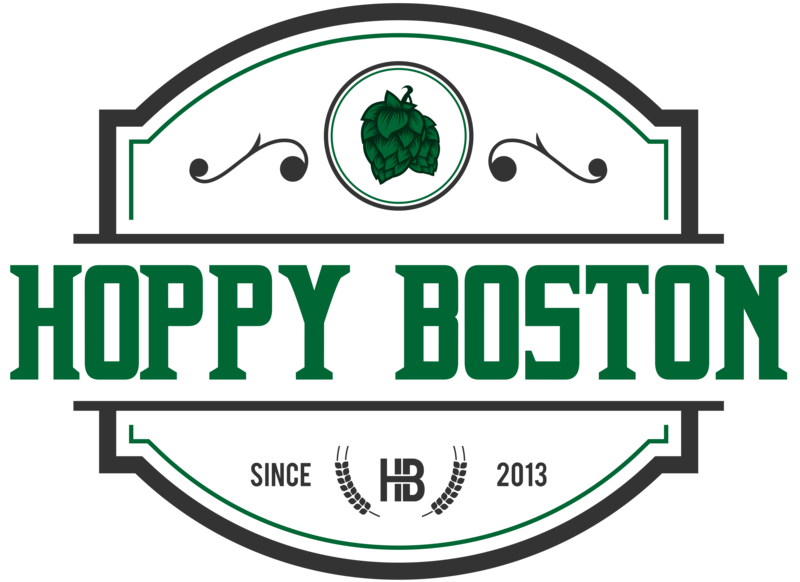 Originally started by three friends home-brewing in an apartment in Somerville, you can now find their beers at any local store with a good craft beer selection. 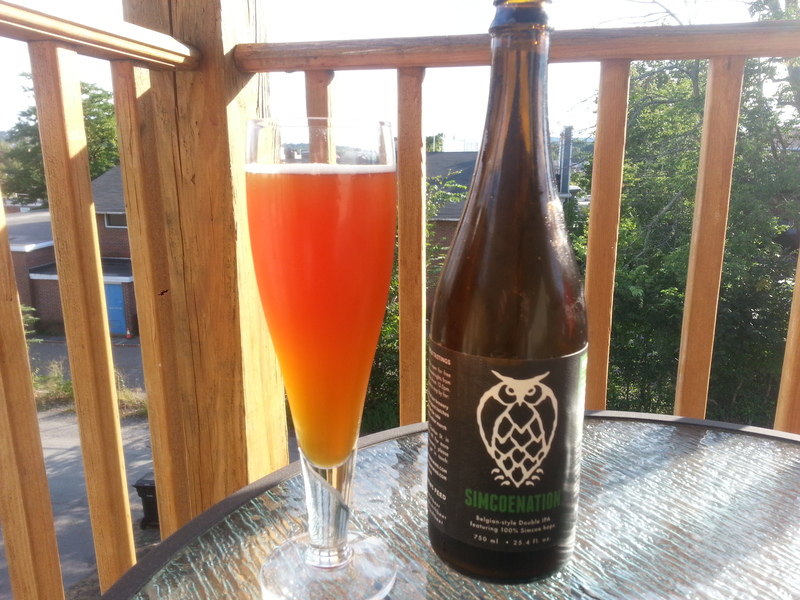 Nightshift Simcoenation is part of their nation of hops series, a series of Belgian IPA’s each brewed with a single variety of hop, this one using the Simcoe. Belgian IPA’s are not a traditional Belgian style, instead they are a hybrid established by American microbreweries, utilizing the spicy, fruity notes of Belgian style yeasts with the variety of bitter, floral and fruit notes common in American hops. The lack of tradition in the style gives the brewer a lot of latitude, and Belgian IPAs have a large range of flavor profiles. Single-hopped beers are becoming popular with craft brewers, highlighting a single type of hop instead of traditional blends. As beer connoisseurs start to learn more about the process in which beer is made, and the effect different hops have on flavor, there is a growing interest in beers that highlight specific ingredients, and single hops beers are a great way for the consumer to taste the specific flavors that a single strain of hops can impart on the final batch. SImcoenation pours a cloudy amber with a solid white head. The Simcoe hops are present on the nose, but not overly strong. On first taste the Belgian yeast flavors come through strongly, slightly spicy with fruity esters. Simcoe hops are one of my favorite American hops, combining the flavors of pine and citrus, you get a complex flavor profile, making it a perfect hop for single-hop beer. The hops form a strong interplay with the yeast, giving a solidbitterness along with pine and citrus notes. The beer is surprisingly drinkable for a double IPA at 8.4 ABV, perfect for the change in seasons from summer to fall. Hoppy Boston score: 4.0/5.